We can’t expound on the dark soy sauce without first understanding what precisely a soy sauce is. For all you know, there are different kinds of soy sauces that are also usable in different meals. You see there is a perception that you will find soy sauce in literary every home in China. 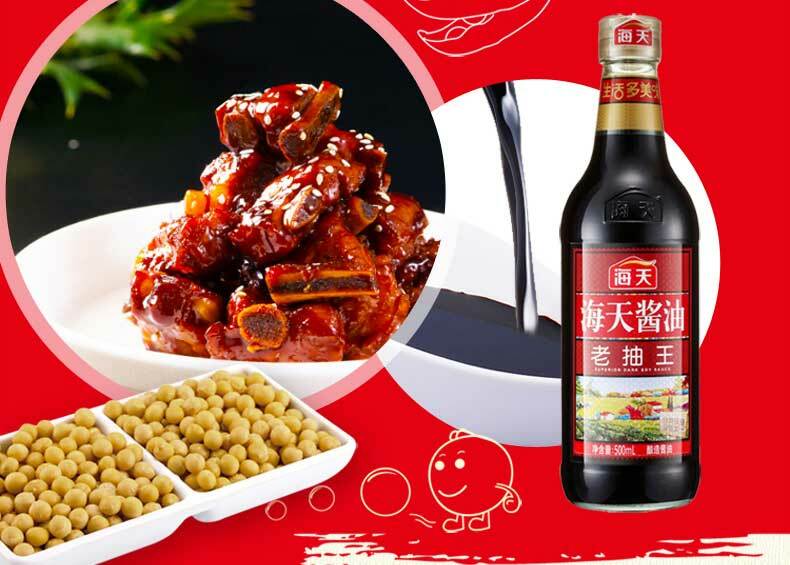 Different kinds of soy sauces are used with different meals although there’s the regular sauce which is light soy sauce and is used in almost every Chinese meal. So, soy sauce is basically one of the oldest condiments in the world. It’s made from fermented soybeans, water and grains. Its role is to act as a condiment, a marinade or seasoning to your dishes. The soy sauce can be further subdivided into light and dark soy sauce. Whereby, the common light soy sauce is thinner and lighter in color but full of flavor. Some people claim that it’s saltier than dark sauce. The dark sauce, on the other hand, is darker in color, richer in flavor and less salty. Sometimes you may find it to be a little sugary because of the molasses that are used to make it. In summary, the dark soy sauce is an enhanced light soy sauce. WHAT IS DARK SOY SAUCE? This is another major ingredient in Chinese cooking. It is one of the two major soy sauces that are a must-have in every household. It takes longer to age and uses molasses, caramel and a bit of cornstarch to make it thicker and darker in color. The light soy sauce is said to be salty and delightful in taste. The dark soy sauce, on the other hand, has less salty taste but it usually and has mild sweet taste as well. The aging process takes longer for the dark soy sauce which results in a deeper and darker color as well as full-bodied flavor. The light soy sauce, on the other hand, takes a shorter time to age. Just as its name, the light soy sauce is lighter in color and viscosity too. Sometimes people refer to the dark soy sauce as the thick soy sauce because it is thicker in viscosity. 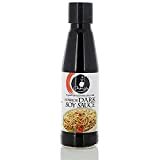 The light sauce is used as a dipping sauce, for stir-fries and seasoning while the dark soy sauce is used for marination especially because it has this amazing dark color from. It’s also used to add flavor to the sauces sometimes. The dark soy sauce is preferred when you need to add it to the food that is cooking because its full-bodied flavor is released once you heat it. However, sometimes you will find it in your dipping sauces. Note that like light soy sauce, most dark soy sauces have a high level of sodium content. Although the light soy sauce sodium content is higher. Whenever you are out of dark soy sauce, look for the light soy sauce since they are almost the same in flavor and although you may want it dark and this may not give your meal the dark color you need it will give it the umami flavor. Another option substitute is mushroom flavored soy sauce. This is because the soy sauce is normally just dark soy sauce with the mushroom extracts used to enhance the flavor. This sauce is my personal favorite because of its earthy flavor. In fact, I prefer using it in place of the dark soy sauce. You could use the Worchester sauce or balsamic vinegar and get a closer flavor as well as color. The two will give you a robust flavor and will work well whenever you need to braise your meats or make the soups and sauces. Aside from that, this is also dark in color so for those looking for color, these two sauces will be the best deal. What are the ingredients used? read the labels indicated with the aim of finding out the ingredients that have been used. Specifically, watch out for artificial preservatives like sodium benzoate and potassium sorbate. Further, verify whether your potential product is non-GMO and if possible avoid chemically processed hydrolyzed products. How is the soy sauce made? How long did the product take to be mature, is it chemically processed or naturally fermented? Traditional soy sauce is way better because it will be richer in flavor and darker in color. Be sure of the taste: you see, only the traditional processed soybeans will give the soy sauce a distinctive flavor. I would always opt for the traditionally processed ones. Moreover, if you can find out the proportion of the ingredients used you will be at a better place. This is because a perfect taste and flavor is determined by the balance in ingredients. Confirm that it is certified: this is because, for an item to be certified, it normally has to meet certain standards. These standards may include non-GMO, organic, gluten-free and more. Reduced sodium: while not all sodium reduced soy sauce has the excellent taste, most people are often willing to compromise on that. There are quite a number of dark soy sauce with reduced sodium. Being a cook, I know that for me to get that mellow flavor in most of my dishes I have to go the extra mile. This happens when I properly balance the ingredients. Below are some of the dishes that use the dark soy sauce. Just so you know, there are thousands of recipes that use dark soy sauce as an ingredient in the recipes. 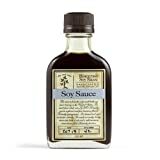 The premium dark soy sauce is made from natural and carefully selected soybeans. They use the natural brewing method which makes it develop a full body flavor and color. This is your ideal companion when it comes to adding the deep color to your casserole dishes and stews. It has no additives and is reddish brown in color. Are you a vegetarian? Look no further for the appropriate dark soy sauce because you have it here. The other grains used to make it is wheat. Rest assured that the sauce will delicately enhance the aroma, appearance and flavor of your dish. Pearl River bridge is the other indisputable Chinese best brand of soy production. The product is naturally healthy and delicious. While it’s mostly used in Asian dishes, it will also suit most of the global cuisines. If you are looking for the sweet, salty and rich flavor, choose this product. The soy sauce gives you not only a tasty dish but also a delicious meal. I love using it for my barbecues and fried rice. Check out my fried rice recipes. Moreover, I often tell my friends that it’s not by chance that most chefs and cookbooks recommend the use of this soy sauce. It’s particularly a super amazing kind. This product is manufactured by a Jamaican company using soybeans, wheat and hydrolyzed protein among others. It’s a low sodium soy sauce that is sought for by most Jamaican as well as Chinese people. It helps you make the authentic Jamaican and Chinese dishes. While this may not taste as good to some people, it is a satisfactory option for those who are following a low sodium diet. Remember, like other sauces, it will add a unique flavor to your desired dishes. This is one of the few products that are brewed in the US. The non-GMO soybeans are grown in Kentucky. Moreover, the use of soft red winter wheat and limestone-filtered spring water ensures the product is natural and full of flavor. The best part is that the soybeans mash is fermented in a bourbon barrel. The best description for this product is that it’s smoky with a mild sweetness and hints of oak. It’s the best product when you need to enrich your food. No wonder it’s a sofi award finalist. This is a product that emphasizes on the time taken during the brewing process. It takes it about a year for the fermentation to take place in a controlled environment. The temperature and humidity in this place are always controlled. It is delicious with just the right consistency for you. Moreover, it has a perfect blend of flavor and aroma. The sauce is made using wheat, soybeans, caramel and water. It’s the best product for seasoning your food and I like the fact that it enhances my dish ingredients rather than overwhelming it. This is another Chinese product that is easy to use because it has an introductory pack for you to try. It is an essential ingredient for most Chinese cooking and it can act as a dipping sauce. This bold product that makes you enjoy a robust of flavors could be used to cook, for marination and stir-frying. The rich and dark brown sauce is the Chinese cooking secret weapon. 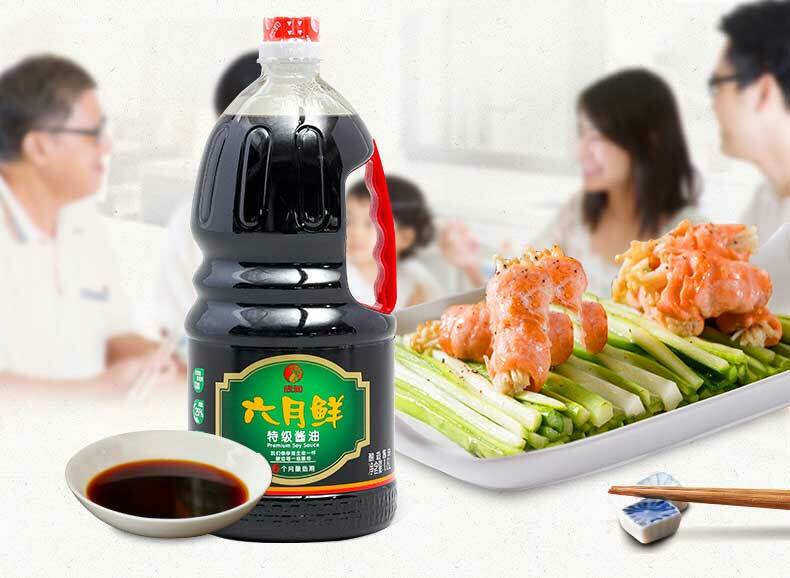 Ching soy sauce is naturally and slowly fermented to enhance its flavor. Use it to prepare your authentic Chinese/Asian dishes. This is a Japanese dark soy sauce. If you want to have a good soy sauce, it requires patience, delicacy and the high-quality ingredients for its brewing. This is exactly what rounds up the processing of this dark soy sauce. Unlike the latest style of fermentation which takes about half a year, the yuasa sauce takes about 24 months in a cedar barrel for natural fermentation process. It’s made using only high-quality black beans called kuromame and it’s done traditionally by hand. All these qualities ensure that you make in-depth color, great aroma and enhanced fragrance. It’s one of the top-quality soy sauce. This is your 100%naturally brewed soy sauce. It has no GMO products and no artificial coloring making it a more authentic product. It is reddish gold in color with a slightly thick texture. The method of brewing used helps to retain the full flavor, taste of brewed soy sauce and aroma. It is made using soybeans, wheat flour, sugar salt and flavor enhancers. This product is naturally brewed which means that it has a stronger flavor, richer color and is less salty. This product is perfect for your dipping, marination and seasoning. This product has no artificial ingredients. 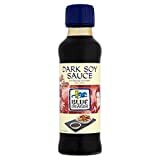 If you love soy sauce that has less salt then this product will perfectly suit your needs. This is a perfect product for vegetarians. As indicated on the bottle, this is a naturally brewed product that has no preservatives, coloring and flavoring. This dark soy sauce is handcrafted and brewed in New York. The traditional process of brewing this soy sauce takes about 12 months. The raw ingredients used for the brewing process are carefully selected soybeans and wheat that are native to North America. Since the fermentation and brewing process takes longer, the soy sauce is known to be rich in flavor with a strong aroma and taste. It’s most appropriate for coloring of the dishes this makes it your best product for marination, stewing as well as stir-frying. With all that said, you now have the basic knowledge of dark soy sauce. Whenever you intend to make that authentic Asian dish come back here and either choose from our list of soy sauce or use the guide to get a good product for your meals. Remember, a great meal is not only determined by the chef/cook making it but also by the balance of appropriate ingredients used.